It's somewhat strange posting about a restaurant on the other side of the world when you haven't been there for a few months. That's what happens we're you're super slack about keeping up with reviews, so I'm probably the only one amused by this. In any case, during my whirlwind trip back to Melbourne, I ended up at Bistro Gitan with M and a few of his friends for dinner. The menu is fairly seafood heavy, which I always enjoy as I pretty much terrified of cooking any seafood other than mussels. Seeing as we were a relatively large group, the waitress suggested we order an assortment of shared entrees to start. We're not the most decisive of people, so it was a pretty good idea. 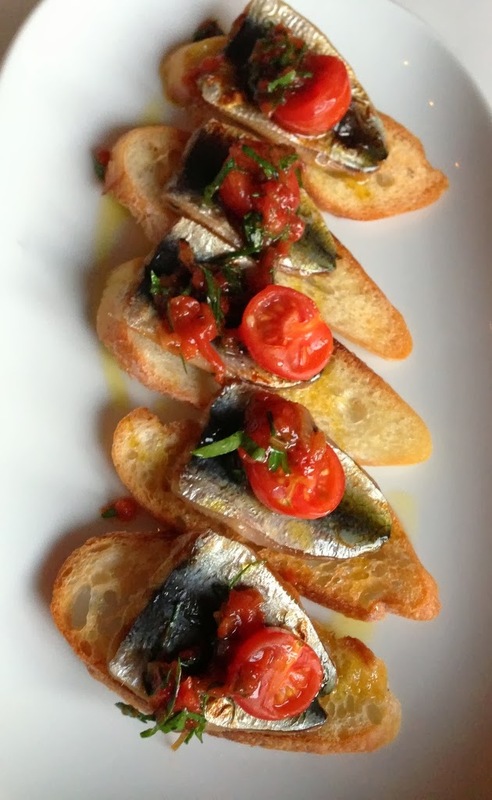 I love the salty flavour of sardines and these were quite wonderfully salty and oily. Unfortunately, I found the bread overly crunchy, and perhaps a tad stale which spoiled the experience. One downside of letting an establishment decide what to eat from a food blogger perspective it's doubly-hard to remember what you've been served without seeing a menu. 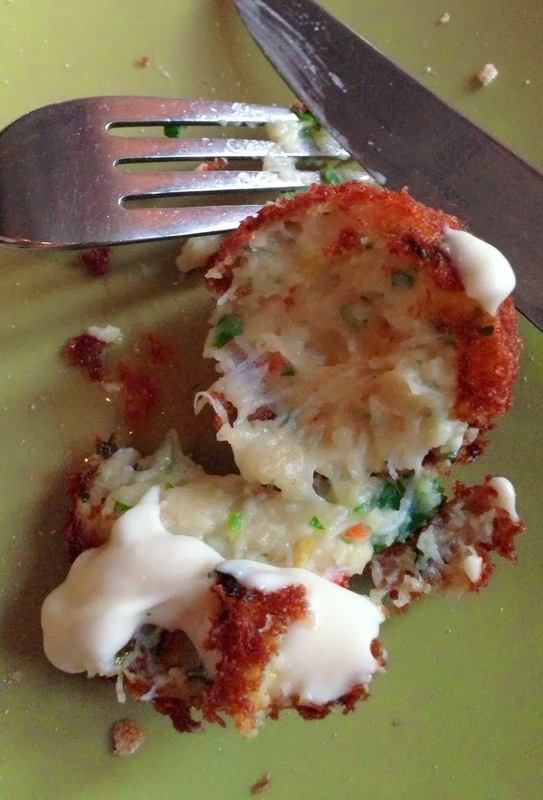 Nevertheless, the croquettes were cheesy as you'd expect, with a relatively light coating of batter for that bit of crunch. I could down more than just one of these fairly easily. This dish suffered from the same bread annoyances as the first, but at least the liver parfait was smooth and flavoursome, with the pepperberries adding a slight bite into the mix. A little extra butter goes a long way into adding some additional dimension to this too. 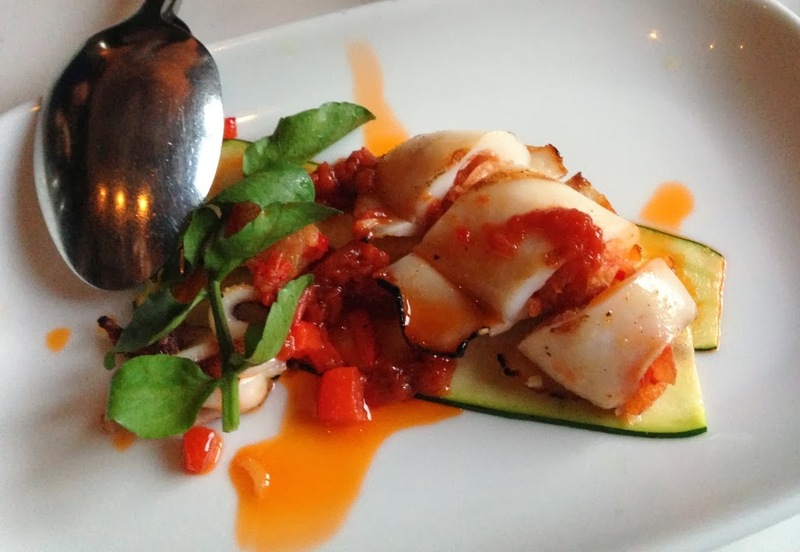 The squid was a decent appetiser, although hardly memorable. Next please. Next please didn't exactly result in fireworks unfortunately. 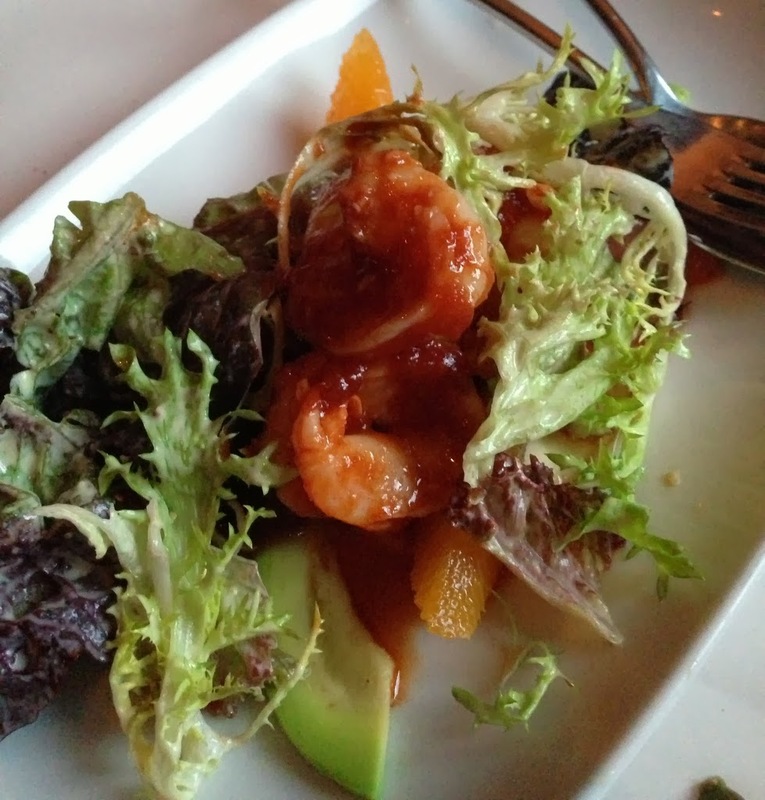 The prawn was coated in too-sticky, too-sweet sauce, masking the delicate sweetness of the prawns and there wasn't much to say about the presentation. At least the restaurant itself was nice enough to look at. On to the mains. Around the table, there was a selection of mains chosen primarily based on degree of hunger. 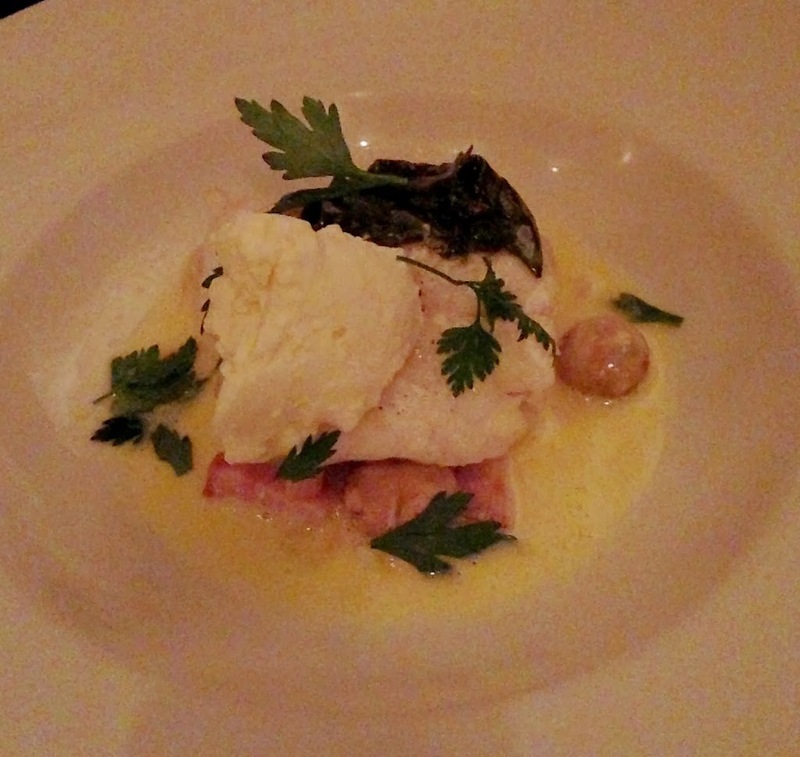 On the lighter end of the scale, there was the delicate ocean trout dish made heavier with a liberal dose of butter. This was deemed delicious by many. 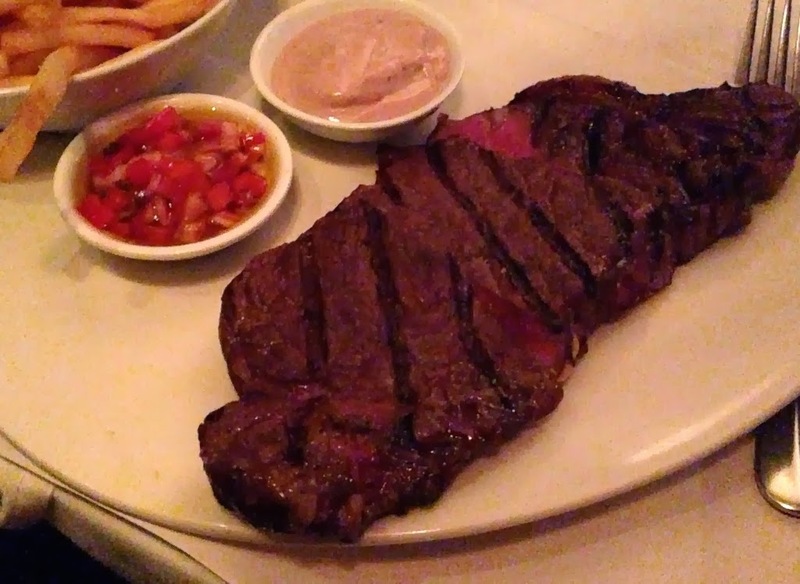 Bistro Gitan does a decent steak, although the lack of any greens on the plate made it look unappetising. Unless you are just craving a giant hunk of meat in which case it was very attractive. The salsa was a nice balance point, but the ratio of salsa to steak was certainly on the low end. Dessert was a fun affair. Not that you can really go wrong with donuts. 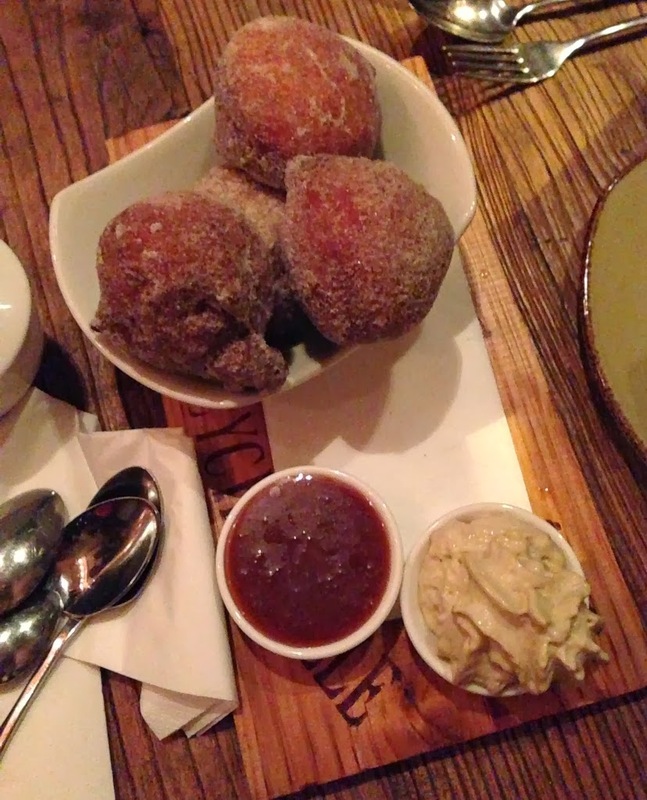 Almost everyone learns to love donuts from a young age and these were sweet, deep fried, yet airy in the middle. Some ice-cream to offset some of the oiliness. 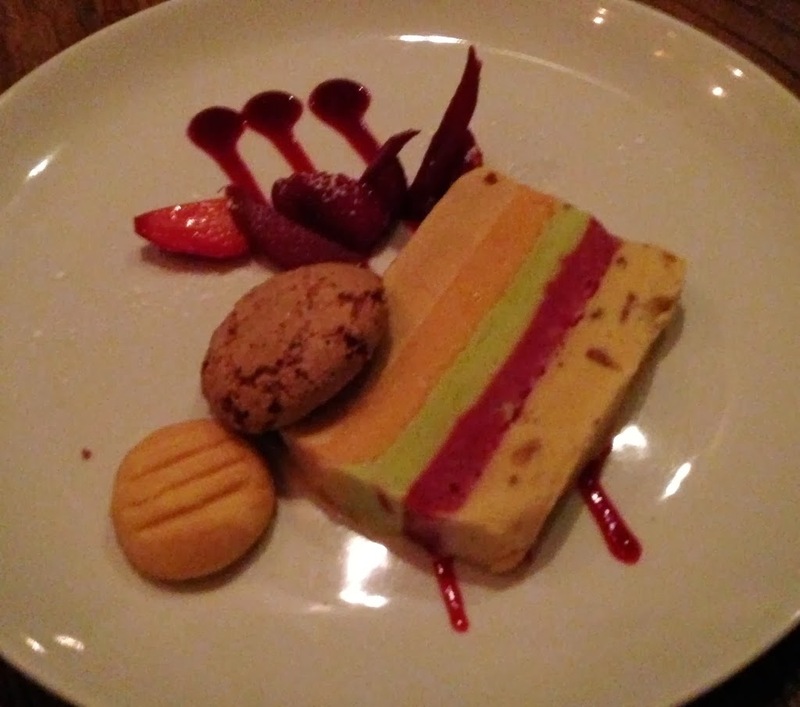 What got us to order this dessert was the promise of five flavours of ice cream and sorbet. The sorbets were light and refreshing, and the ice-creams were smooth and rich. A great combination I'd love to order a tub of from an ice-cream shop (to share of course). To finish off the meal, a requisite dish of petit fours. Nice enough, but nothing spectacular. 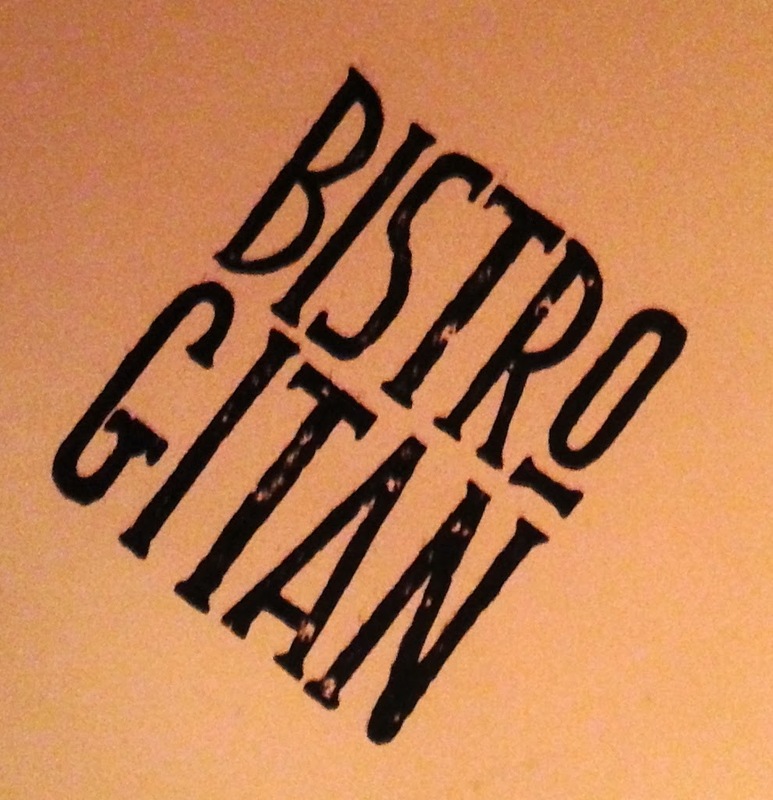 Which is what I can say about Bistro Gitan in general. 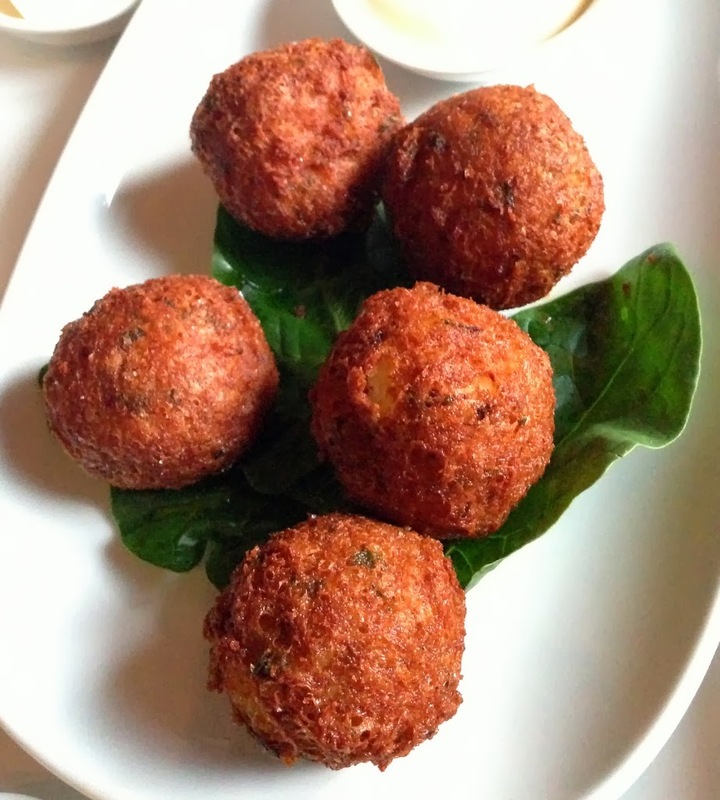 The food was decent, the service was friendly and efficient and it was a fun night in good company, but nothing was memorable. There really needs to be one knock-out item on the menu, and there simply wasn't. It's a shame because all the right elements are to there, but as show business says, there's no X-Factor. 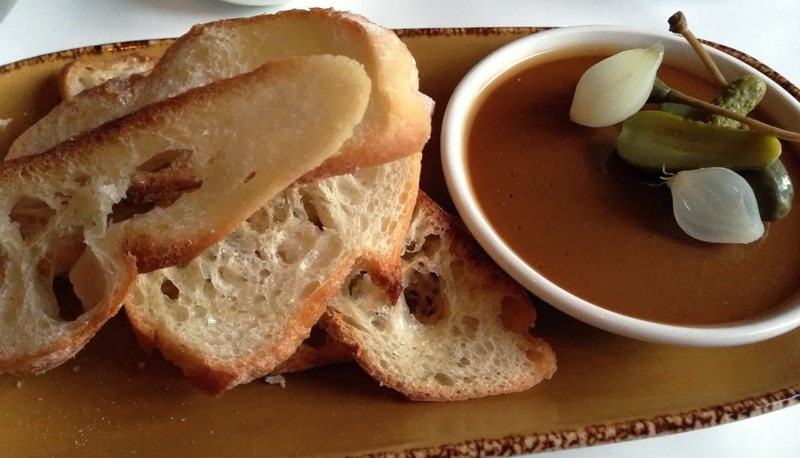 Still, for a nice-enough night out with excellent service, Bistro Gitan is a sensible pick.